I really like May Luk Ceramics and thought I'd share her work this evening. Pink and turquoise always scores big points with me as does fashion illustration, so of course I'm a fan. May lived in San Francisco where she studied illustration at the Academy of Art College, then moved to New York to find a job, and somehow ended up in the UK where she studied applied arts at the Glasgow School of Art and ceramics at Kensington Chelsea College. This then put her in West London, where she pursued a successful career as an illustrator while maintaining a studio designing ceramics. Now May has hopped back over the pond and is living in New York once again, making a recent appearance at the Brooklyn Indie Market. 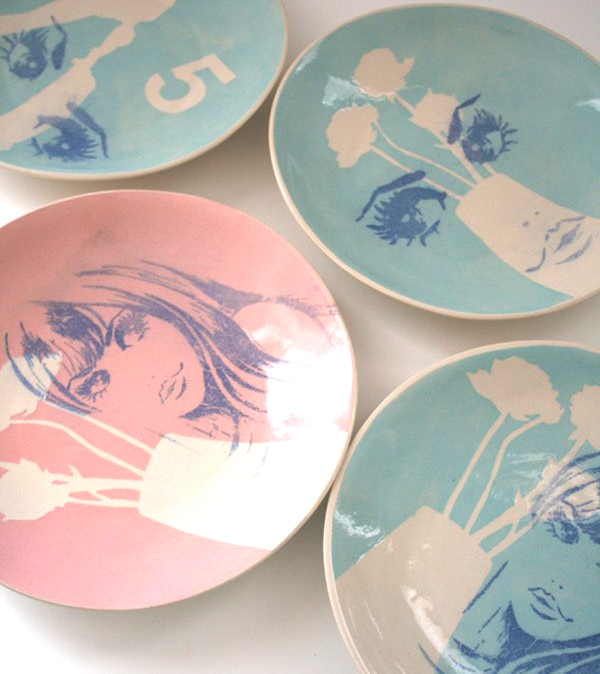 If you'd like to see more of her decorative plates please visit her shop over at Etsy. Lovely work May and welcome back to the states! What Would The Perfect Magazine Have?